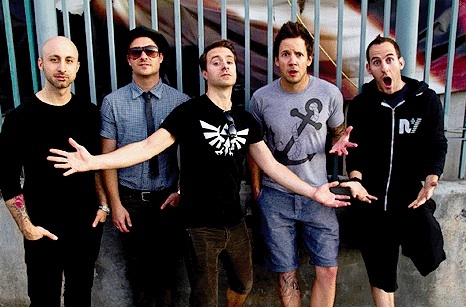 Simple Plan have announced their new EP will be titled Get Your Heart On - The Second Coming! and is scheduled to be released digitally on December 3rd. You can check out the EP artwork, track listing and a message from the band regarding the release below. "We're really excited to share some new music with our fans all over the world! "Get Your Heart On - The Second Coming!" is a collection of songs we wrote during the song writing sessions for our last album. We can't wait to hear what our fans will think of the new music! Pick up your physical and digital copy of "Get Your Heart On - The Second Coming!" in Australia on November 29th and digital copy on iTunes on December 3rd! More details on territories to come soon! - Pierre, Chuck, Jeff, David and Seb"